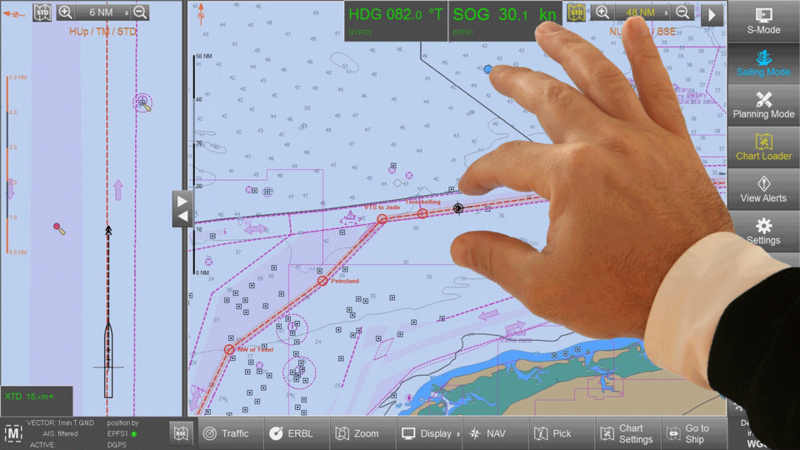 ORCA Master G2 is an all new professional Electronic Chart System (ECS) for marine navigation created by SevenCs. It is a high-end ECS application specially developed for touchscreen operation. It offers all functions required in a type approved navigation system but remains intuitive in its usability. ORCA Master G2 can be used as an ECS for offshore, inshore and inland operation. The product can be provided as software only, customized to OEM partners‘ requirements and in a package together with IEC conform hardware and type approval. ERP calculator (estimated Rendezvous Point). Experience ORCA Master G2 functionalities on our Youtube channel. For a free 10 day evaluation of ORCA Master G2 contact sales@sevencs.com.